The baby-boom generation is aging. So too is the Canadian population. A baby boomer born in 1947 turns 65 in 2012. The good news is, we are living longer, healthier lives. The bad news is, it may mean less money, less leisure and more work for those who haven’t planned for an extended retirement. 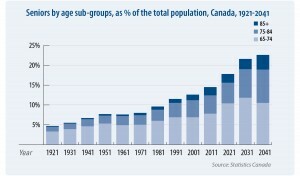 In 2061 (according to Statistics Canada) — 80,000 (est.). In less than 10 years, only one in five people in the workforce will be aged 55 to 64. 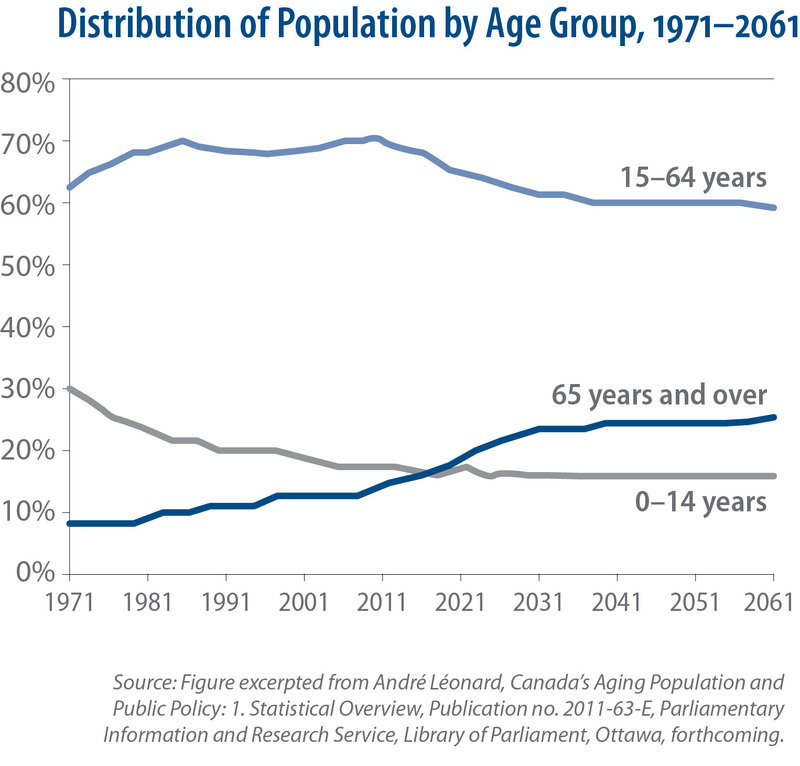 In addition, the ratio of working Canadians to retired Canadians is expected to fall to 2:1 in 2031, from 5:1 in the 1980s. 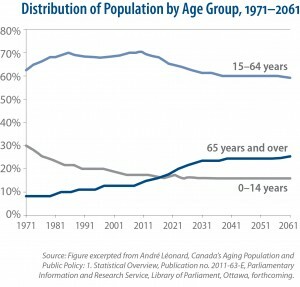 The aging of Canada’s population will cause escalating pressures on public expenditures in the areas of health care and old age security, while potentially slowing the growth of the labour force, reducing the growth of the economy, and limiting the growth in government revenues. This demographic shift is likely to result in less government support going forward and the need for more self-reliance. Future generations may not be able to count on government assistance during their retirement years. Unfortunately, even as baby boomers reach retirement age in record numbers, their financial readiness for retirement is being questioned. Those retirees who have prepared in advance, by setting up their portfolios to generate a consistent stream of income will be better poised to meet life’s future challenges. Invest as early as you can, with a vision for the long-term. Time in the market gives your portfolio a chance to grow, and minimizes the effects of day-to-day market volatility. Own equities that pay dividends and reinvest those dividends to take advantage of the power of compounding returns. Here’s to a successful retirement!